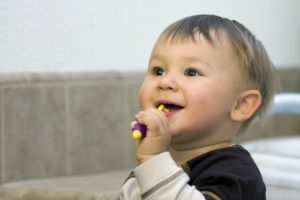 It may be surprising to hear your child’s first dental visit needs to be by their first birthday, but retaining their oral health and making them as comfortable early is imperative to making future visits easier. The key is to tell your child what to expect before the visit begins and show them you’re there if they need you. That’s why we want to give you a list of what to expect while you visit and how to take better care of your child’s oral health. It’s especially important since more children are seeing cavities at a young age. According to the Columbia University College of Dental Medicine, 1 in 4 children in the United States has had at least one cavity by the age of 4. Many kids have been known to get cavities as early as age 2 as well, but by taking the necessary steps with your pediatric dentist in Birmingham, your child’s mouth will be healthy from day one. Your child will also be able to participate in dental prophylaxis and fluoride treatment for additional disease prevention. Even if your child’s first experience with their dentist was a positive one, it’s important to retain that comfortability and trust throughout their younger years. If your child has any reason to fear the dentist, the fear could permeate into their adult life. Avoid using terms that might provoke unnecessary fear, such as “needle” or “drill.” Just like when you visit your general practitioner, the key is to build trust early on and show you are there for them every step of the way. Your child deserves the best dental care early. Don’t hesitate to make their future and their smile brighter. Dr. Angelica R. Rohner earned her undergraduate degree in early childhood development and education and taught special education for two years. After realizing her passion for helping children, she earned her D.M.D. degree at the University of Mississippi School of Dentistry followed by a two-year internship/residency program in Pediatric Dentistry at the Children’s Hospital of Alabama and the University of Alabama at Birmingham. There she received her advanced degree in Pediatric Dentistry. 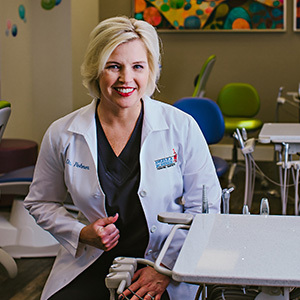 To learn more about first-day expectations and Dr. Rohner’s practice, contact her at (205) 870 0892 or visit her website.